Until the 1960’s New York City was a center for local brewing. Piel’s, Schaefer’s, Rheingold, and scores of other small local breweries disappeared by the mid-1970s, all victims of rising costs, refrigerated transportation, and the emergence of powerful national brands. 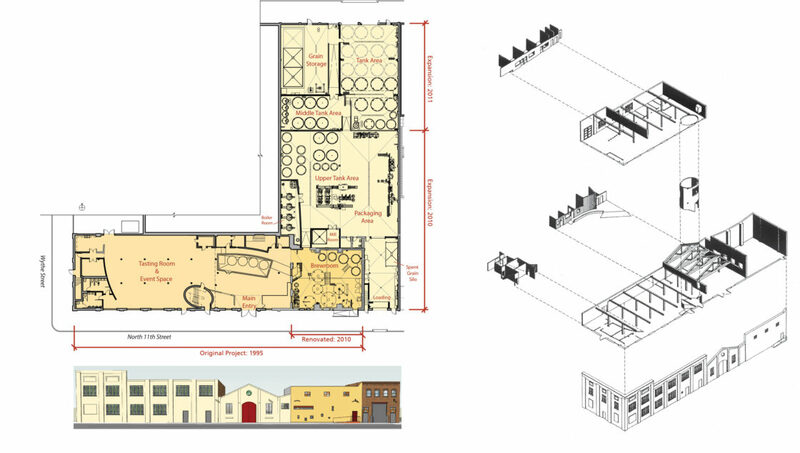 When Brooklyn Brewery’s leadership approached Fradkin & McAlpin Architects to open Brooklyn’s first brewery in almost a quarter century, we recognized the chance to be a part of the remarkable rebirth of the brewing industry and a Brooklyn neighborhood. As architects for Brooklyn Brewery and part of their development team since 1996, Fradkin & McAlpin has led their environmental branding efforts, from the renovation of the original warehouse through two subsequent expansions. 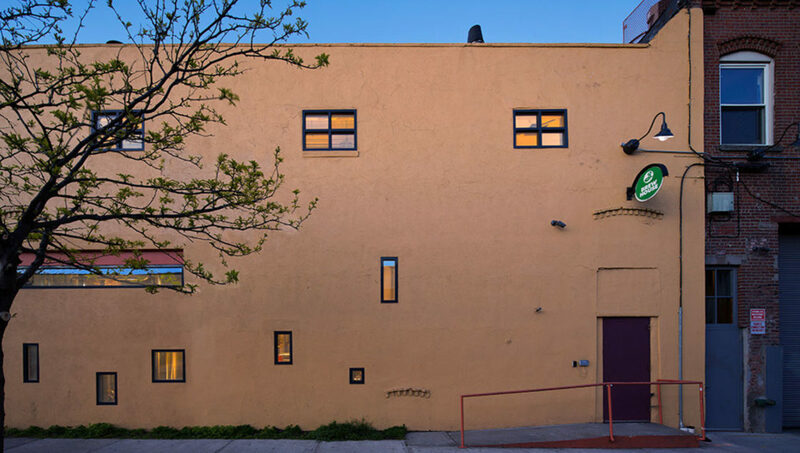 The bright colors and bold design elements bridge the gap between historic and modern industrial aesthetics, making the building a model for reuse of industrial space in the Williamsburg neighborhood. 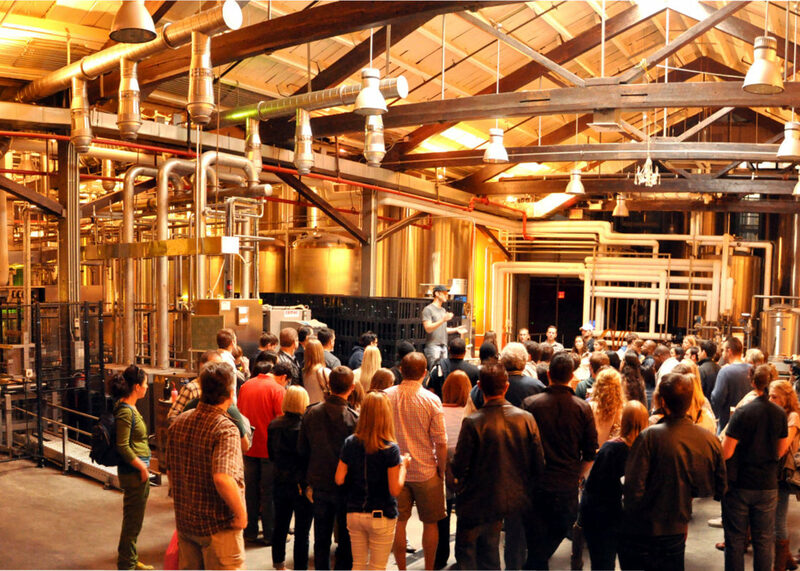 The innovative design lets the space remain a functional brewery while public tours and tastings take place, giving the public a glimpse of the brewing process and a taste of Brooklyn Brewery beer. Brooklyn Brewery is a pivotal part of Brooklyn’s international emergence as a vibrant cultural center and a brand unto itself. We are proud to play a part in this ongoing reinvention of Brooklyn and the world’s renewed interest in the vitality of local manufacturing.